Stratos III versus the ‘big boys’. How does it compare? As you all know, our Stratos III rocket was launched this summer to break the European altitude record for students. Unfortunately the flight ended prematurely at an altitude of around ten kilometers. 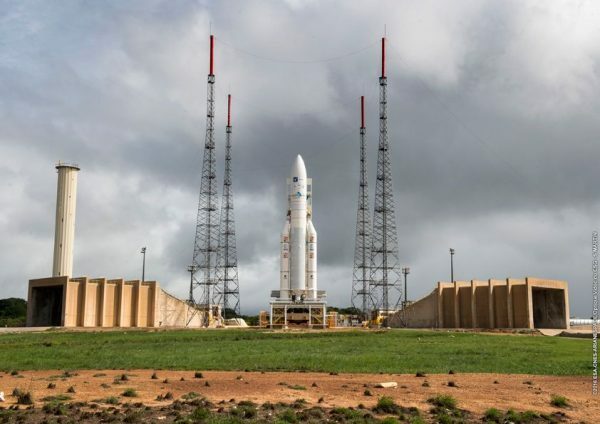 In this blogpost I would like to take a closer look at the Stratos III rocket and see how it compares to the launchers produced by one of our main sponsors: ArianeGroup. This company is one the leaders European market for commercial launchers and space propulsion systems. They are a main contractor for the European Ariane V and future Ariane VI launchers. Therefore, their rockets perform in a different league than the Stratos rockets, but how different? Stratos III rocket in the launch tower. First of all, the Stratos III launch mass was 330 kg. For the Ariane V this is around 780,000 kg, making the Ariane V around 2,360 times heavier compared to Stratos III. In order to lift this to space – something we are still dreaming about – the Ariane V launchers features four engines. The Vulcain 2 engine, two EAP solid rocket boosters and an ESC-A cryogenic upper stage powered by an HM7B engine. In comparison, Stratos III featured a single DHX-400 Nimbus engine providing around 25 kN of peak power. 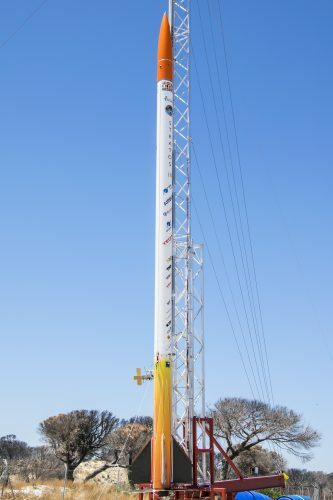 Moreover, Stratos III reaches a mere 8.2 meters into the sky, while the Ariane V launcher towers above it at 50.5 meters. And, with its diameter of 5.4 meters, compared to 28 centimeters for Stratos III, the Ariane V launcher is quite a bit bigger. So compared to Stratos III, Ariane V is absolutely a big boy. However, with its total length of 8.2 meters and its advanced hybrid engine, Stratos III is not only the biggest student build rocket but also one of the most advanced. Additionally, the DHX-400 is the most powerful hybrid rocket engine ever built by students! Ariane V is Europe’s reliable workhorse when it comes to launchers and is one of the biggest launchers in the world. In that regard, Stratos III and Ariane V might not be that different after all, they just operate in entirely different field of the industry! ArianeGroup is one of the main sponsors for the Stratos III project. Their support helped realize this project and might one day help DARE in achieving its dream of being the first student team to reach space! Previous: Previous post: How to Ignite a Rocket Engine?